Ralphs is a supermarket chain based in Southern California. Ralphs is a supermarket chain that's based in Southern California, and its parent company is Kroger. The store offers a graet range of groceries at good prices. You'll find fresh fruits and vegetables, dairy products, canned and boxed goods, a bakery, a meat counter, and a fish counter in their locations, as well as a deli with prepared foods you can grab and eat. Some also have a pharmacy included. If you want to save time shopping, then you can order online ahead of time. You can also check out their official website, www.ralphs.com, to apply for a Ralphs credit card. That way, you can earn points while you shop and save money. Don't forget to add Ralphs to your favorite stores right here on Tiendeo so that you always know when there are Ralphs coupons and sales going on. We'll keep them all in one simple place for you. The very first Ralphs location was in Los Angeles, California, and located at Sixth and Spring streets. It was founded by a man named George Albert Ralphs in 1873. It grabbed customers' attention for allowing them to pick and choose the groceries themselves before checking out at a stand. Today, there are Ralphs locations throughout Southern California and its parent company is Kroger, which is based in Cinnicinati. It's the oldest chain west of the Mississippi! 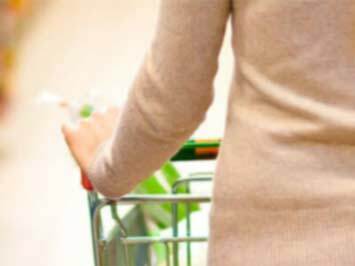 Shopping for groceries can be a bore, but it's much easier if you know exactly what you're shopping for. Still, menu planning isn't always the easiset thing to do, and you might get tired of eating the same old recipes over and over again. That's why Ralphs has a great section on their website filled with recipes and ideas for what to do with your groceries. There are a range of different recipes, from things like a roasted vegetable bake to vegetarian stuffed peppers to lemon chicken and potatoes. There are also fancier ones that you might like to cook for a special occasion, including ahi tuna steaks with pesto sauce, baked Italian cod topped with a tasty tomato sauce, and blue cheese stuffed pork chops. The recipes are all fairly simple and straightforward, so even new cooks will be able to follow along. Do you want to receive more deals from Ralphs by email?